The American Eagle Foundation is proud to announce the fifth year for its support of eagle conservation and research through its Eagle Grants program. For 2017, six applicants for American Eagle Foundation grants were selected to receive $84,133 in funding for work to be carried out in 2017. To date, the American Eagle Foundation has sponsored grants in support of eagle conservation and research totaling almost $500,000. We appreciate the important work of these grantees, and are honored to be able to contribute to the continued growth and reproductive success of the Bald Eagle population. 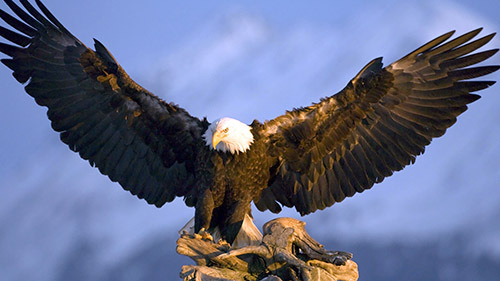 The American Eagle Foundation is a not-for-profit 501(c)(3) organization whose mission is to protect and preserve the United States’ living symbol of freedom, the American Bald Eagle, and other birds of prey. The AEF is celebrating its 32nd year of carrying out its mission through Preservation, Repopulation, Education, & Rehabilitation. It is headquartered in the foothills of the Great Smoky Mountains at Dollywood Family Theme Park in Pigeon Forge, TN. The following are recipients of the American Eagle Foundation 2017 Eagle Grants. The American Eagle Foundation obtained funding for this grant program in 2004, when both the U.S. Senate and House UNANIMOUSLY passed the “Bald Eagle Commemorative Coin Act.” Congress authorized the U.S. Mint to mint gold, silver and clad coins, which they sold to the public in 2008. The American Eagle Foundation continues to make those coins available to the public through its web site. The American Eagle Foundation uses a Bald Eagle Grant Advisory Team to numerically rate all grant applications. This team consists of some of the most outstanding eagle authorities nationwide. We congratulate our successful applicants for 2017! Release & Update on NEFL Eaglet Peace We’re On Hatch-Watch!